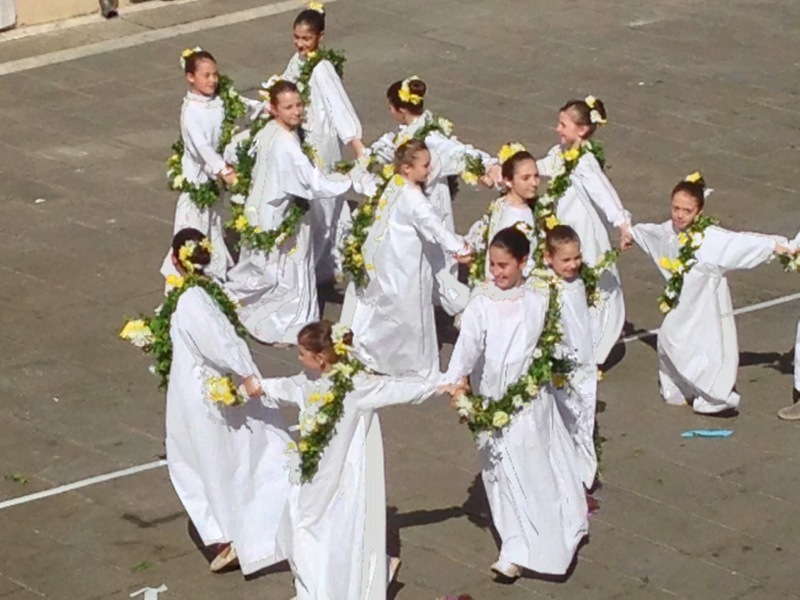 Floral wonders take the stage in many an Umbrian festival: in the medieval street theater of Assiisi’ medieval May festival in Assisi, Calendimaggio, floral themes are key. 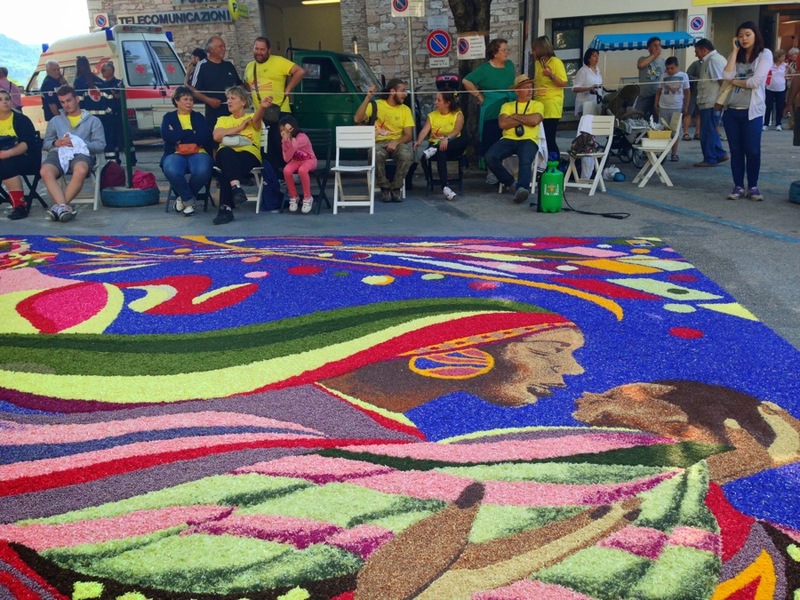 In Spello’s astounding Infiorate festival (sixty days after Easter), astounding floral tapestries star. 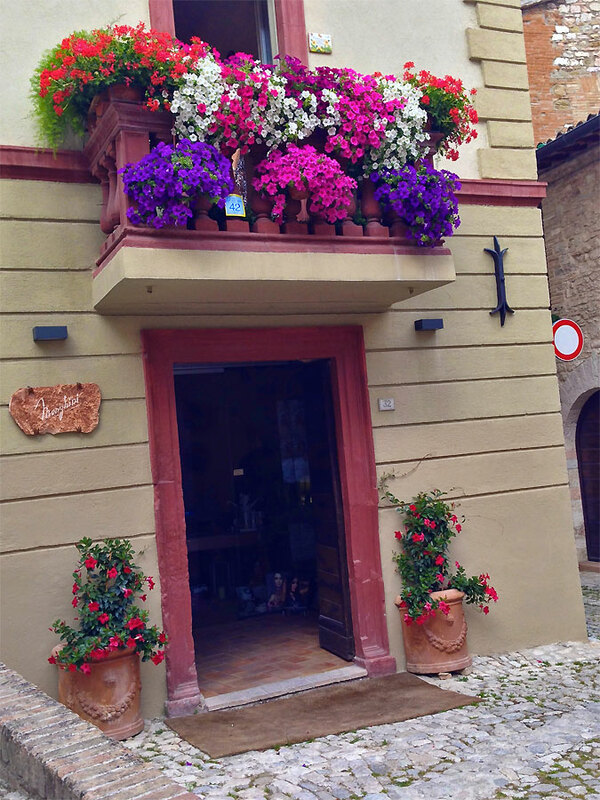 Look up as you stroll the medieval backstreets of Umbrian hill towns from spring to fall to see the chromatic majesty of the “hanging gardens” adorning balconies and doorway entries. 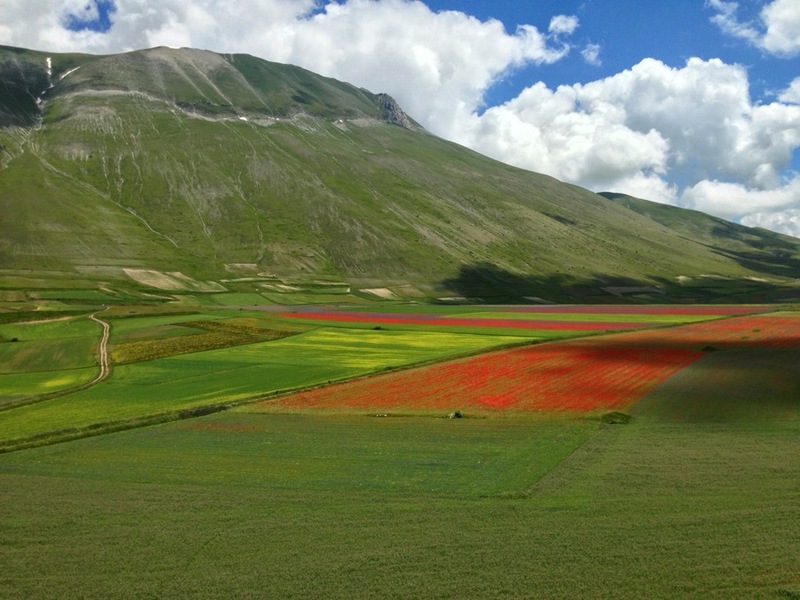 But Madre Natura puts on the greatest floral spectacle of the entire region of Umbria in late June/early July on the Piano Grande (“Great Plain”) fanning out below the tiny medieval hill town of Castelluccio di Norcia. 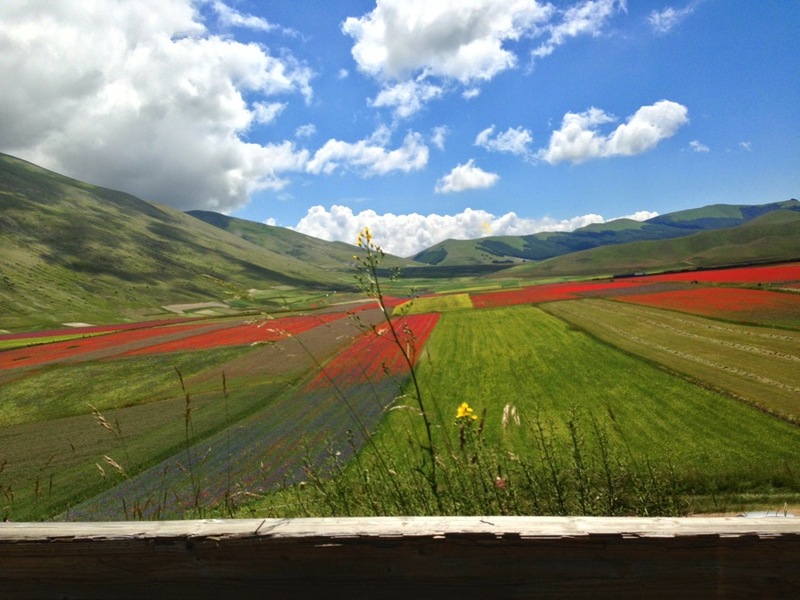 Brilliant yellow rapeseed, fiery red poppies and sky-blue cornflowers border the fields of Castelluccio’s famous tiny lentils creating a kaleidoscopic patchwork which no camera can capture. I caught a shot of Pino before the wonders and though I can’t do “selfies,” I had to try – so that I’ll always remember that we were there. We lived the majesty. 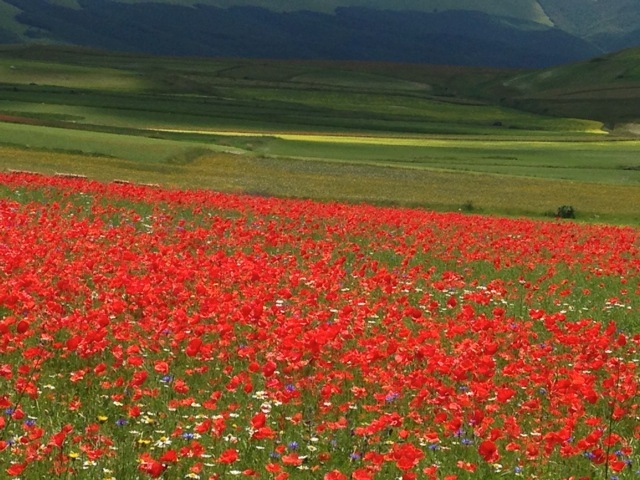 Living the Majesty…indeed! 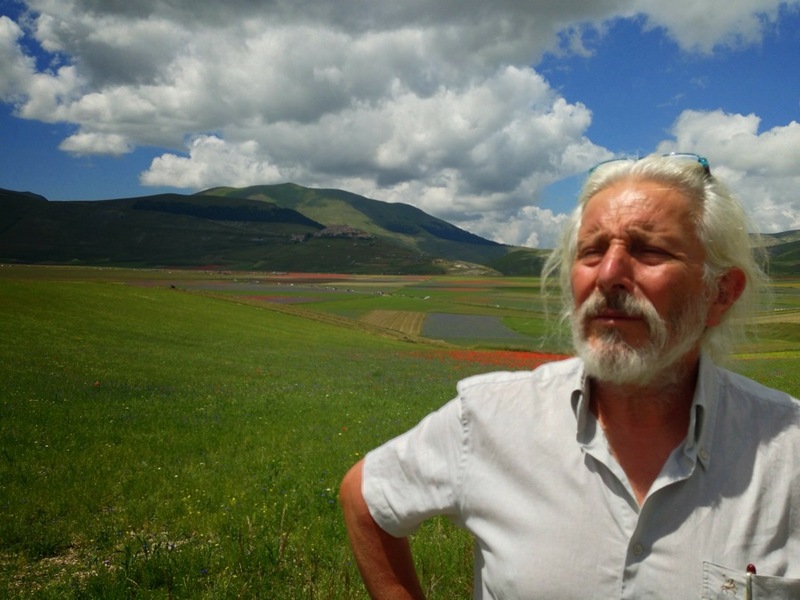 I’m just back from my beloved Umbria, but reading your posts, Anne, excites my interest and curiosity about so many aspects of life in the green–and floral–heart of Italy. 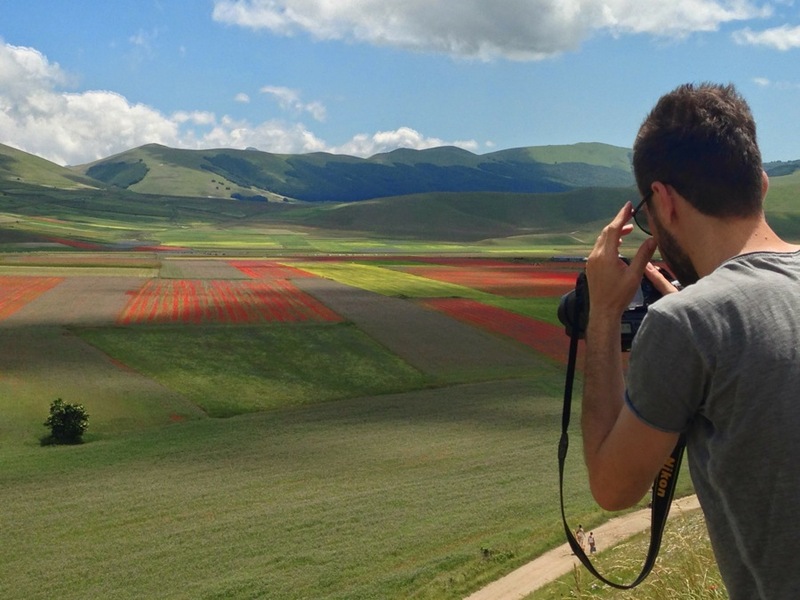 Your commentaries and photos deserve the broadest possible audience of readers and travel-planners; one could easily plan several exciting itineraries based on your digest of what’s happening in the historic towns and hamlets central Italy. 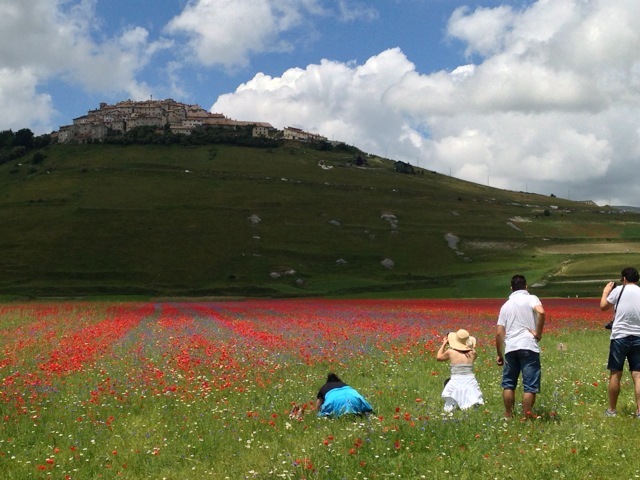 Your deep knowledge of the region–its cuisine and culture–is unparalleled! 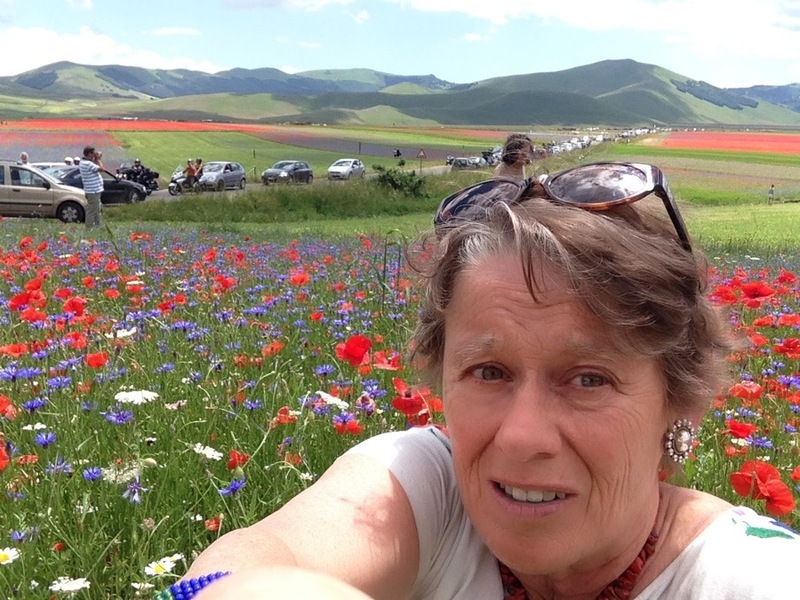 Paula, thanks for your note – much appreciated! 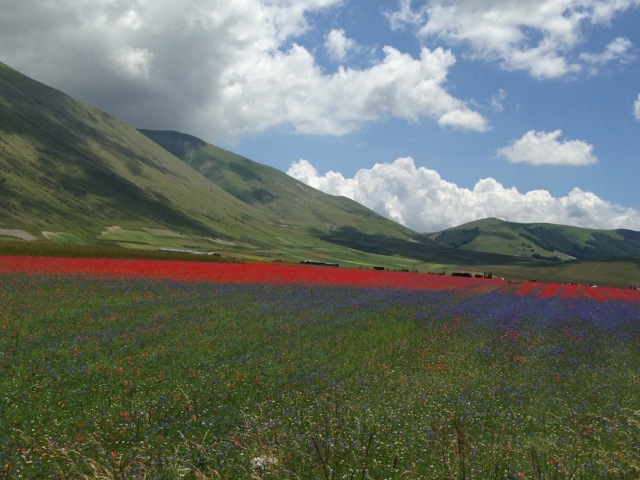 Hope we can head together to Castelluccio next year!